It’s December 5th, and the painting is heading towards completion. Just two months away from installation, scheduled for February 6, 2016. Details to come. 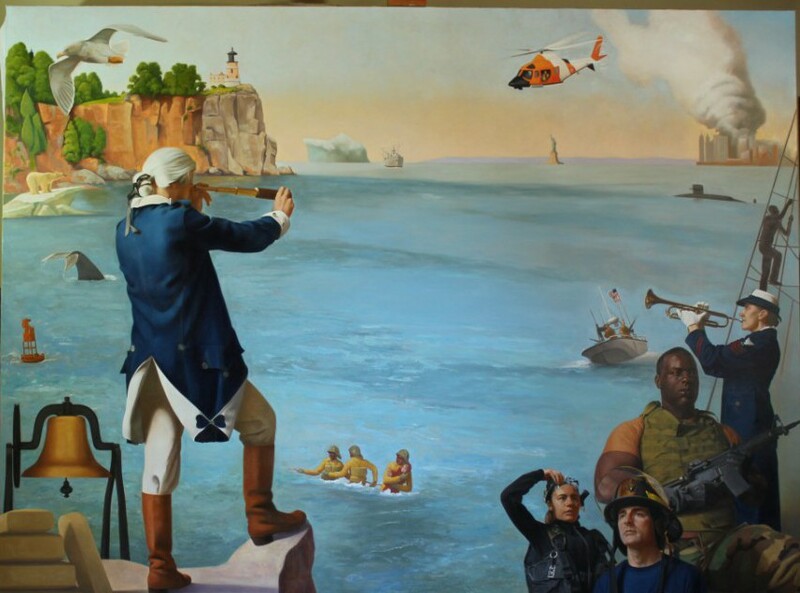 Once the Coast Guard painting is installed, the project is 3/5 complete–with thanks to the donors whose belief in the project continues to inspire. 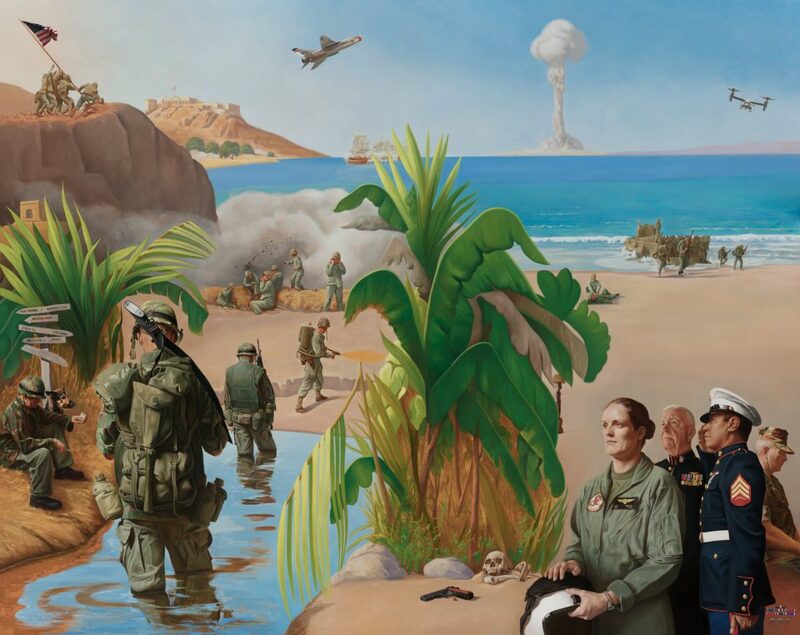 To all Veterans and your families, each day on the painting is in honor of your commitment and sacrifice. Coast Guard painting, Dec. 5, 2015. By vetsart in Uncategorized on December 5, 2015 .